Here’s a first…. An exclusive interview with former CBS-FM jock Steve O’Brien! Steve’s been in New York Radio for a long time on such stations as WABC, WYNY and of course CBS-FM! He’s been heard on Sirius Satellite Radio and seen on the TV game show, the $25,000 Pyramid! This is a real interview! Steve and I were in contact for awhile ever since he did our 3rd segment of Musicradio 77 Recreated for New Years Eve 2005, and he graciously donated a bit of his time to give all of us a bit of insight into his career and what it was like to be a jock at the Golden 101! Did you know SOB was at CBS-FM for 15 years! It might not be as long as Don K. Reed but 15 years is a long time for a dj to be at any station anywhere. And, as Steve says, the longevity of the personalities on CBS-FM was a big factor in the station’s success. So… listen now as we chat with one true radio great – Steve O’Brien from 101 CBS-FM! 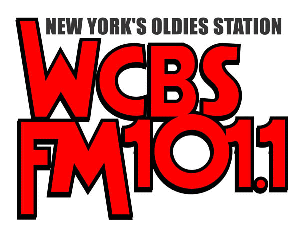 Fantastic interview hands-down with Steve O’Brien, a great all-around, quite fun on-air personality, and along with Pat St. John, he was one of the two weekend and fill-in disc jockeys at Oldies WCBS-FM that I would usually look forward and eagerly to hear on the air as soon as possible. Also, he was indeed great during his days as the warm-up and voice-over announcer of “Pyramid”, where I was able to see him person at work a few times when the program was done at ABC-TV’s Studio TV-15 on West 58th Street in Manhattan. Thanks Steve O’Brien and Steve West for the interview. All that you do is appreciated. I first heard Steve on Y-100 in 1973 and then on WNBC. (I think it was WNBC). I have listened to him for many years and many Sunday’s on CBS-FM. He sounds like a great guy. Good interview.